We invite scholars, students and researchers to submit an abstract by December 5, 2018. The conference will take place on February 8-9, 2019 at UCLA. 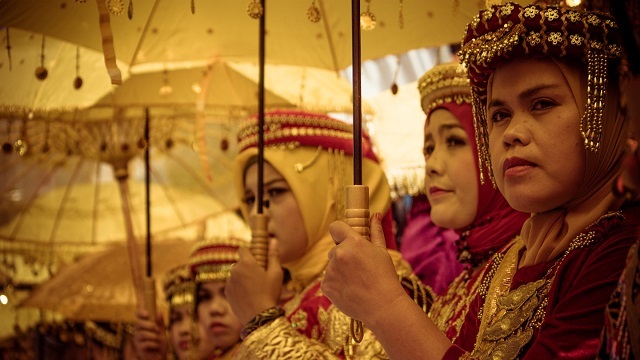 UCLA Center for Southeast Asian Studies invites submissions from academics, teachers, researchers, and graduate students who are involved in or have conducted research about the empowerment of women in contemporary Indonesia. Our conference aims to highlight research and work that analyze the various socioeconomic, religious, or legislative changes that have advanced or hindered the empowerment of women in Indonesia in recent decades. The goal of this conference is to address not only the progress made through policy, education, and activism in elevating the position of women in Indonesian society but also the challenges that remain. We welcome submissions from scholars and students from any disciplines and presentations can address any aspect of the general theme. Our conference will be held on February 8-9, 2019 at UCLA. Each speaker will be part of a panel and is allotted 20 minutes for their presentation followed by a 10-minute Q&A session. An abstract proposal should include the title, a brief description of 300 words maximum, and a presenter profile that should include your name, institution, and short personal bio. UCLA CSEAS is offering partial travel grants to help those whose papers are accepted to present at the conference. Please indicate if you would like to be considered for the travel grant on the online application.